If your customers have multiple locations, and/or you do a lot of business with them, they may have had to deal with an inbox full of apparently identical emails. 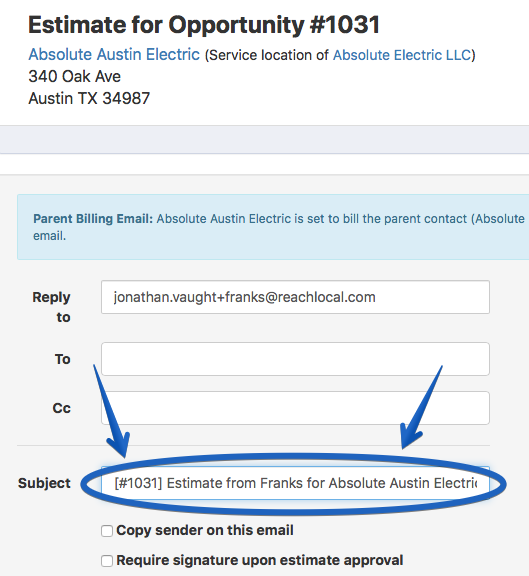 By default, all estimate emails used to have the same subject. This was also true for invoices. Which could have made it hard to know which estimate was for which job at which location.